With the strong Euro and rising food and fuel costs, traveling has never been so expensive. But there are some easy ways to cut costs when you're planning your travel budget for Spain. Though last-minute deals can be good value, you can get the cheapest flights by booking months in advance, especially if using a budget airline. Though budget airlines only cater for European countries, that doesn't mean Americans shouldn't think about them. Often the cheapest way to get to Spain is to find the cheapest flight to Europe and then to take a budget airline from there. But beware - budget airlines' extra costs can take you by surprise, especially Ryanair. If flying transatlantic, the best prices are normally found around three months before flying. 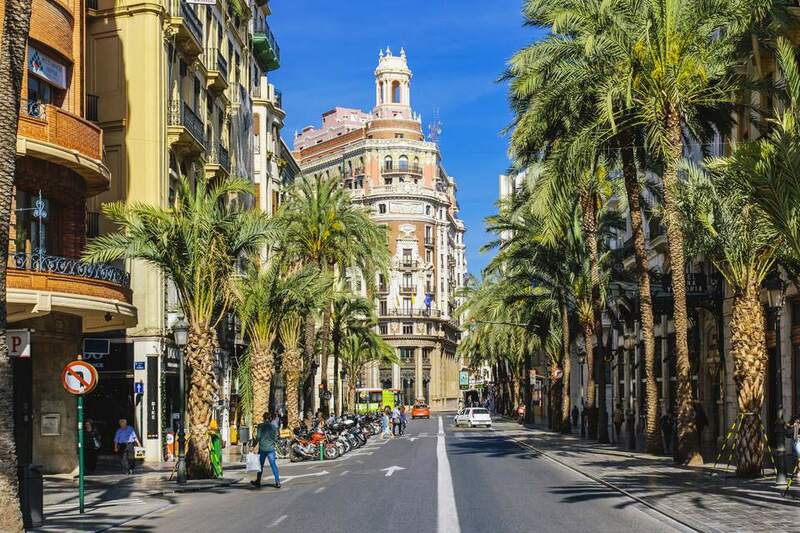 A problem shared is a problem halved and that goes for accommodation, too, which can be one of the biggest costs you have to face when trying to arrange a cheap vacation in Spain. Do you really need a private room? If not, try a youth hostel. They're no longer the characterless places they used to be. Free wifi and breakfast are standard in Spanish backpackers hostels and all ages stay in them these days. The best place to book them is on Hostelworld. An even cheaper option is couchsurfing. There are websites that allow you to contact people with free couches. These people let you sleep on their couch for free and are always more than happy to show you around. Admittedly, these services are not for everyone. If you need the privacy of your own room, why not try Airbnb? The much-publicized Airbnb allows people with spare rooms or apartments to rent them out to visitors. It is far cheaper than a hotel or self-catering apartment and the site is very safe and secure. Lots of people go straight to the train station when traveling in Spain, fearing that taking a bus will be more difficult. It will be, but that doesn't make it impossible. It is usually much cheaper to travel by bus and you'll often save time too. But there are even cheaper ways to travel in Spain. One reliable way to share fuel costs (and carbon emissions) is to try car sharing. Spain's bigger cities have cheap metro systems (subways or underground systems to most Anglophones). In Madrid and Barcelona, they're indispensable. Don't be afraid of delving into Spain's transport underworld. Spanish metro systems have a simple pricing system and easy-to-read maps. If you aren't used to a big meal at lunchtimes, eating a small breakfast should set you up perfectly for lunch. Spanish cafes are full from 7 am or 8 am until 10 am as the locals have a pastry or a piece of toast with a coffee. It is cheap (under 2€) and will give you just enough energy to last till lunch. Eat anything bigger than this and you'll pay more and will find you have no appetite at lunchtime (and will end up paying too much for dinner in the evening). Discount cards get you cheap or free entry to just about every museum in town. They can save you a fortune if you're a particularly ambitious tourist and get a lot done in a day. But often the card will cost you more than you manage to save. This is why I say 'consider' a discount card. Work out how many attractions you're likely to get through in a day and see if the card is worth it for you. Rail Passes - Do Your Research! Many travelers who have ​bought a rail pass thinking it'll be the cheapest way to travel and then found that it isn't always great value in Spain. Rail passes are best used when traveling in several countries (especially France, where trains are not so cheap). In Spain, you'll often find buying individual train tickets is cheaper and you may want the freedom to take the bus (see above). That isn't to say a rail pass won't be worth the money, just do your research first. What's better than cheap? Free! Lots of museums in Spain are free on certain days or at certain times in the day. You'll find them to be a lot busier at this time, but don't let that put you off; you can always go again! Everyone's amazed to discover that in Granada, you can eat for free! That's right, with every small (usually alcoholic) drink you buy in a bar in Granada, you'll get something to eat. And we're not talking just a few olives here (though that is occasionally all you get). We're talking generous portions of paella or even a burger and fries! You can easily get your fill after just three or four small beers. Granada isn't the only place in Spain where you can get tapas for free, but it is probably the best. They're very nice, but not a good way to eat cheaply. Go for a Menu del Dia ​instead. Though if you're on a transatlantic vacation this will be impossible, going on a short trip within Europe should be doable just with hand luggage. Most budget airlines charge to check bags in, so traveling with hand luggage only will save you quite a lot of money. Note that Ryanair has very specific hand baggage dimensions. If your bag is too big, you'll be charged.